Keep your cupcakes fresh and tasty with our superb cake tin designed to keep your delicious treats protected and lasting longer…if you can resist them that is! Your precious treats will stay safely tucked away and with a lovely smart metal finish they will fit nicely into any kitchen scheme. Keep your delicious treats safe from going stale and from cooking smells in the kitchen so that they keep their fresh taste for longer! Perhaps you need somewhere to hide them so that greedy little fingers don’t find them! Or maybe you want to save them for later when your friends come over for a nice cuppa and a gossip. 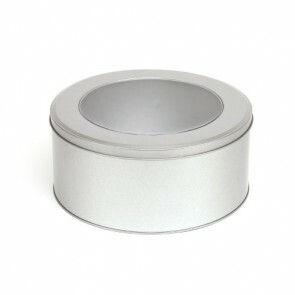 A perfect addition to any kitchen, our cake tins are a must –have for every cupcake lover out there.